What sport(s)/exercise do you participate in? How frequently do you participate in sports, exercise, or other activity? Have you ever used any of the following types of sports nutrition product? Why did you use it? To help with the ache’s and pains afterwards.It’s important that I develop my game and keep up with the rest.I see the professionals use these sorts of products and want to see if they can help me as much as they help them.My coach has recommended me to use it. Did the product help you? Overall, how satisfied are you with the physical appearance of your body? How many times a week do you eat breakfast? How many times a week do you eat lunch? How many times a week do you eat Dinner? I eat at least three to five (3 to 5) servings of vegetables per day (a serving equals 1/2 cup cooked or 1 cup raw). I eat at least three servings (3) of fruit per day (a serving equals 1/2 cup fresh fruit or juice or 1/4 cup of dried fruit). I drink or get the equivalent of 3 cups (8 ounces) of milk per day (equivalent calcium 300 mg/cup through fortified fruit juice or dark green leafy vegetables). I limit my saturated fat (lard, butter, bacon, creams, etc.) intake. I eat in between six and ten servings of protein-based foods per day (1 ounce of meat, 1 egg or 3 egg whites, 1/4 cup tuna, 1-ounce cheese or 4-ounce tofu equals 1 serving). I drink at least eight cups (8 ounce per cup) of non-caffeinated fluid daily (water, juice, seltzer, etc.)? Do you get more than three	colds a year? Do you find it hard to fight off an infection (cold or otherwise)? Have you taken antibiotics in the past 3 years? Do you suffer	from allergy problems? Do you need more than 8 hours sleep a night? Do you find it difficult to wake up and get out of bed in the morning? Do you have tea, coffee, foods or drinks containing sugar, at regular intervals during the day? Do you often feel drowsy during the day? Do you get dizzy or irritable	if you don’t eat often? Do you sweat a lot or get excessively thirsty? Do you sometimes lose concentration? What’s your level of Fitness/Nutrition/Supplement knowledge? How would you describe your Fitness / Nutrition / Supplement style? 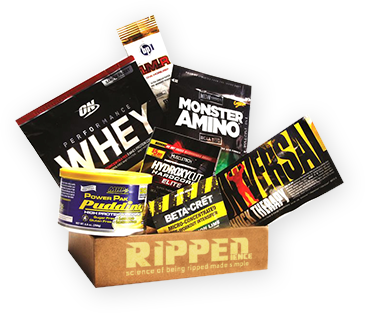 How often would you like to receive Fitness / Nutrition / Supplement samples? How would you best describe your ethnicity? How did you hear about RIPPEDience? 1. Have you used or taken any vitamins, minerals, herbal products or other dietary supplements in the past year? 2. 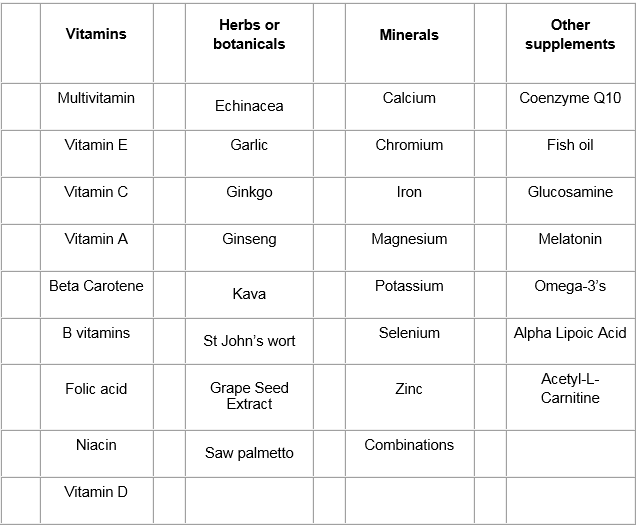 Do you consider taking vitamins or other supplements such as minerals and herbs to be essential for your health? 3. Has your doctor recommended that you take specific vitamins, minerals or other supplements for your health? Which of these looks best describes the look you are interested in? Which of these brands do you love (or would love to try)?